ABG avoids the rigidity of larger firms to provide creative solutions. No transaction is too big or too small for our firm. Our clients range from start-up companies looking for their first corporate location to larger established companies who require expert counsel to manage their relocation or investment opportunities. Professionalism and integrity are key, combined with decades of collective commercial real estate experience, packed within the streamlined structure of our firm. ABG’s size and combined acumen allows us the agility, to not only fully understand the business goals of our clients, but to build strong and stable business relationships. 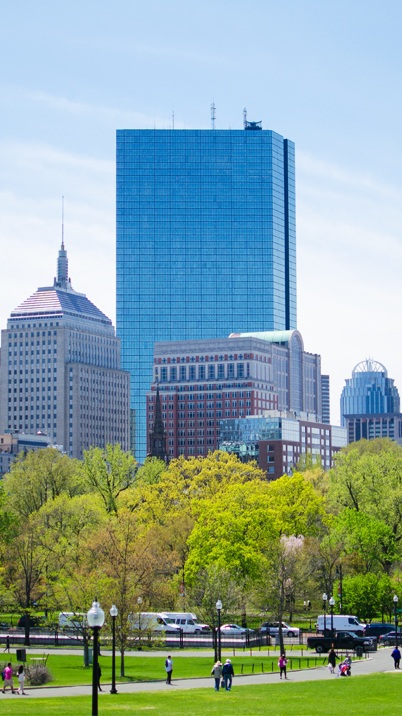 Centrally based in Cambridge Massachusetts, the brokers at ABG contribute a distinct expertise and a wide range of experience that complete the picture of a full-service commercial brokerage. As a result, ABG Realty has grown dynamically to become one of the leading real estate firms in Greater Boston and Eastern Massachusetts. At ABG Realty we pride ourselves on our extraordinary service, integrity, and knowledge of the regional real estate market. We are committed to providing each of our customers, regardless of size, with the same level of professional service. No transaction is too big or too small for ABG Realty. Our clients range from small start-up companies seeking their first location, to larger established firms, requiring qualified technical analysis and expert counsel to manage their relocation or real estate investments.